Let's not mince words: Hulu's free offerings have always been awesome, but Hulu Plus — the site's premium content service — has done nothing but confuse things. For $10, you're supposed to get access to a larger library and the ability to access Hulu on mobile devices. Is it worth it? Nope! So, how can Hulu Plus fix it and win us over? Well, these three things would be one heck of a start. Actually give us MORE content! 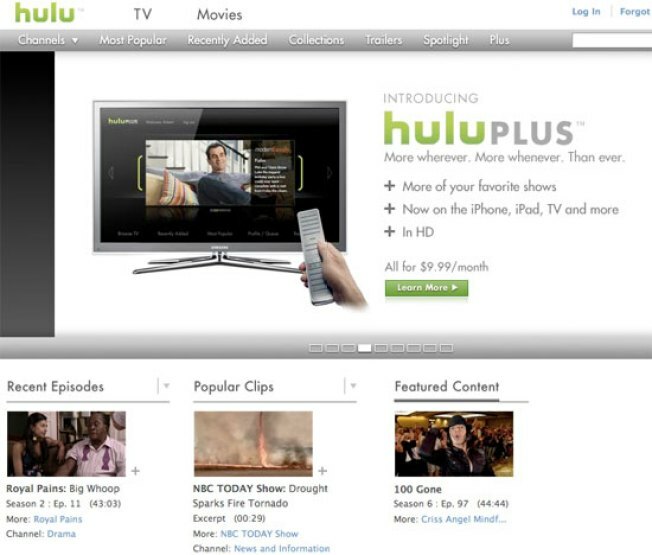 by research firm One Touch Intelligence, 88% of the content found on Hulu Plus is already offered for free. That's not just clips or anything (for clips, 98% of the content is free) — that's for full episodes. The number becomes a little less disheartening when you put it in terms of raw numbers, though not by much: out of the 28,000 or so episodes on Hulu Plus, 3,345 of them are exclusive to the paid portal. Still, this is the main selling point. If the big reason to buy in doesn't sound so hot, why bother? The real kicker is that some shows, such as the X-Files and Family Guy can be streamed elsewhere, such as over at Netflix. No commercials would be great, thanks. Or, if we can't do away with the commercials for our buck, how about we at least see less than the free folks? You know what? Screw that. You can pay around $9 for Netflix's instant streaming service and you won't see a single ad while watching your movies and shows. I'm not an ad man who has crunched the numbers. Maybe Hulu would lose money per Plus subscriber if it ditched the ads. What I am, however, is a consumer who isn't going to hand over $10 a month for nothing. Give us an Android app already. This goes for Netflix, too, actually, though we're willing to cut that service a little slack as its paid package doesn't feel as flimsy as Hulu Plus. Then again, with Netflix, you're paying to get through the door — nothing is free. Yet it feels easier on the wallet for it. With Hulu Plus, you can stream the service to your TV if you want, as well as Apple's suite of mobile devices — y'know, such as the iPhone, iPod Touch and iPad — but left out are Android handsets and Blackberries. Why not beat Netflix to the punch have one up on 'em, Hulu? I mean, just have something. We love you, and we want you to stick around, but right now we're not sure how far that $10 is taking us. Full disclosure: Hulu is owned by our parent company NBC Universal, along with Disney (ABC) and News Corp (Fox).